With Newsletter2Go, you can add a sign-up form for your newsletter to WordPress in no time. 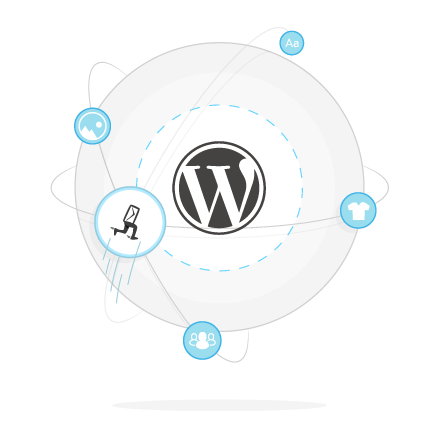 Use the WordPress plug-in to turn website visitors into subscribers. You can create and edit the sign-up form directly in WordPress. Feel free to adjust the questions your visitors will see once they decide to join your email list. Moreover, the plug-in will indicate the groups that your subscribers were classified under. Save your precious time for other marketing pursuits: with the WordPress newsletter plug-in, you don’t need to update your database. New subscribers will be automatically added to the relevant groups. The WordPress newsletter plug-in is easy to integrate and, most importantly, is absolutely free of charge. The plug-in shows you a preview of the sign-up form. If you are happy with all the settings, you can easily paste the sign-up form widget anywhere on your website. Alternatively, you can also insert it into the code. Expanding your email list is crucial for marketing success. Learn about the best email list building strategies. Having a clean, quality list will enable you to send group-specific messages that will boost open and click rates. You can send out birthday emails, reactivation newsletters to inactive customers, welcome emails to new subscribers – the sky is the limit. You will also be able to send individualized product offers to subscribers. Learn more about list segmentation. Setting up the plug-in is a breeze. First of all, you need to ensure that you have an active Newsletter2Go account. Go to the relevant help topic to read a step-by step guide. You also have the option of transferring text blocks and other content elements from your website to your newsletter with our 1-click content transfer feature. Transfer description, images, titles and more into the newsletter. Save time and effort: no more copying and pasting individual pieces of content, customizing or formatting images. Likewise, you can transfer product details directly into your newsletter with our 1-click product transfer feature. Copy the entire product into your newsletter simply by entering the product number. This will automatically transfer the product name, description, image, price and link. A preview of the subscription form can be viewed in the Newsletter2Go WordPress plug-in. If you are satisfied with the form, you can insert it into your website wherever you like by using a widget or by adding the HTML code for your form. Connect the WordPress newsletter plug-in to your website now. Our high-performance and professional email marketing software will make it easier than ever for your visitors to sign up to your newsletter and for you to reach more people. The integration takes place via the plug-in. See what other newsletter plug-ins we offer. Drive sales and connect with your audience using our seamless integrations and plug-ins. Take advantage of newsletter plug-ins for e-commerce systems, web shops, as well as CRM and CMS tools. Learn more about our newsletter tool and the newsletter program.